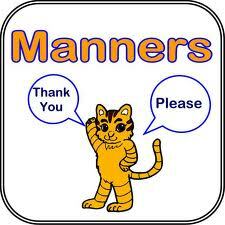 Part two of a two-part series on etiquette for teens and children. The second part of this series focuses on appropriate telephone etiquette, theater behavior, and table manners. While telephone etiquette is always a matter of great importance, this topic would be rather lengthly if I included all scenarios. Therefore, this article will focus on appropriate behavior when calling someone. If I had a dime for every time a child called my home and asked, “Who is this?”, I’d be able to fill the tank of my van – even at today’s prices. Whenever I am the victim of such bad manners, I have no problem taking the opportunity to teach the child something they may or may not have learned at home. When calling a phone number that is shared by two or more people, the polite thing to do is to introduce oneself and ask for the person with whom you wish to speak. For example, “Hello, this is Sarah. Is Cindy available? If so, may I speak with her?” This approach works best for someone with whom the child is not familiar. However, if the child knows the person who answered the telephone, an appropriate greeting would be, “Hello, Mr. Smith. This is Jackie. How are you?”, or some other pleasant chit-chat. When the time is right, it is OK to then ask to speak with the primary person with whom you wish to speak. Don’t forget to offer “please” and “thank you” for the time that the other person took to respond to your request. Do not kick the back of the chair in front of you. Silence your cell phones, so as to not disturb others. If your phone vibrates and you must take a call, take it outside of the theater. Do not treat the aisles like runways by running up and down them, because you are bored. Place your trash into receptacles generally located at various places near the exit. Following these few simple rules will allow your fellow movie-goers to enjoy the film that they paid good money to see. It’ll also likely keep you from being tossed from the theater. Finally, teach your children that proper table manners are important. Believe me, this is a constant battle in my home, so I know it’s not an easy one to win. This advice will focus on dining etiquette when eating outside of the home, but there’s no place like home to practice. As a former restaurant hostess, I’ve seen it all. Parents who let their children empty condiment containers onto tables, treat restaurant workers disrespectfully, throw trash on the floor around and under the table, have loud conversations, and disrupt the peace of other diners by tugging on their hair or clothing from the other side of the booth were constant concerns. Helping your children exhibit good dining behavior is quite simple. When you see any of the above behaviors (or gasp) or something worse, address the immediately. Don’t wait until the manager or an angry guest has to approach you. Think about how you’d want to be treated when having a conversation, watching a movie, or dining outside of the home. If you see your child behaving unpleasantly, do something. Don’t sit back pretending not to see an issue and force others to do your parenting for you. Have any stories of unbelievable bad behavior? What did you do to address it?